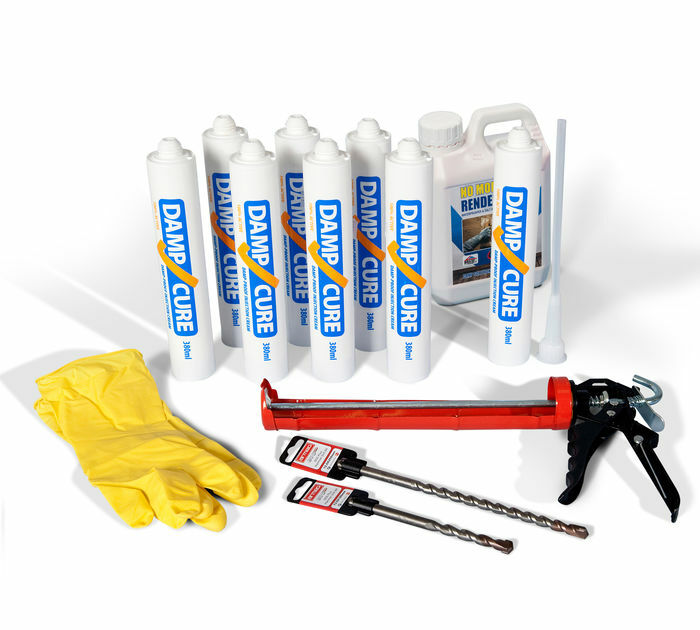 Though the warm weather means that damp is probably the last thing on our minds, the summertime is in fact the best time to carry out damp proofing work. With the walls and the ground beneath at their driest levels, damp proofing work can progress with more rapidity and success. Ground water at the footings level of a structure is absorbed into walls via capillary action. The level of the water usually tops out at around one metre high, leaving a tell-tale line; this is the classic symptom of rising damp. As water evaporates, it leaves salts behind which draw more and more moisture from the air, exacerbating the problem. The warm weather means that groundwater is down to its lowest levels. A lack of moisture allows the walls to dry thoroughly, making conditions perfect for installing damp proof courses. Shorter drying times mean that painting and plastering can be carried out quickly after the damp treatment is implemented. Treating rising damp is made easy with the Twistfix Rising Damp Kit. Our specialist damp proofing cream is fabricated using an emulsi­fica­tion process before being separated into handy cartridges for your convenience. Once applied, the cream migrates quickly and evenly into the pores of damp walls, delivering an effective, lasting chemical damp proof course. Plastering additive is included in the kit and acts as a salt-inhibitor.